Stay in Sardinia at a FAITA structure you will be entitled to a discount on the Journey to the ship. 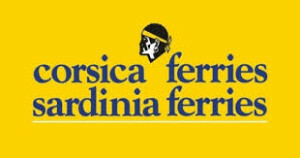 For all customers who book with a tight structure to FAITA Sardinia offer many advantages for the journey by ferry to Sardinia. Thanks to the agreements signed with different companies from Faita Navigation structures will offer a complimentary code Discount valid for the route chosen. For more information please contact directly one of our Camping. 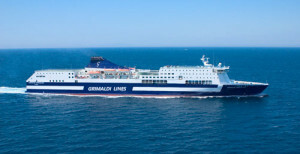 Grimaldi Lines, Compagnia di Navigazione leader for passenger transport on the motorways of the Mediterranean, offers maritime connections with Sardinia, both from the Continent and from Spain. Departures throughout the year from Civitavecchia and Barcelona to Porto Torres and from Livorno to Olbia. Grimaldi Lines has signed an agreement with FAITA Federcamping SARDINIA, thanks to which there are discounts for customers who book a stay at campsites and villages belonging to the Sardinians FAITA. Book your stay at one of the facilities belonging to FAITA Federcamping SARDINIA and receive a discount code to be used for the purchase of the ferry with Grimaldi Lines. In selecting grimaldi-lines.com website while booking the Convention FAITA SARDINIA and entering the discount code in the space provided. Contact our call center at the number 081496444 Grimaldi Lines communicating the discount code operator. By sending an email to info@grimaldi.napoli.it indicating the discount code. N.B. The discount code is personal and can be used only once on one-way or round-trip bookings. Discounts shown apply to customers for the stay at campsites and villages belonging to FAITA Federcamping SARDINIA, families and carers when traveling together (same reservation). Discounts apply on best available rate when booking, are combined with special active rates when booking, unless otherwise indicated in the relevant applicable conditions published in www.grimaldi-lines.com site. Not combinable with other conventions do not apply on fixed charges, the fuel surcharge and any costs not commissionable.